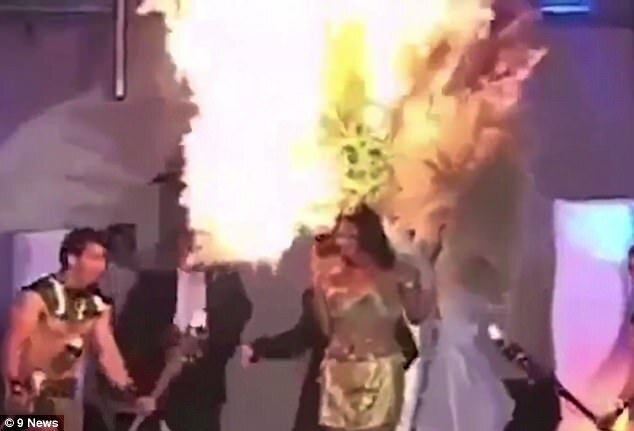 A model in an El Salvadorian beauty pageant escaped a violent fire hazard by a narrow escape as her costume caught fire on stage. The model was wearing a feather headdress which caught fire on stage. 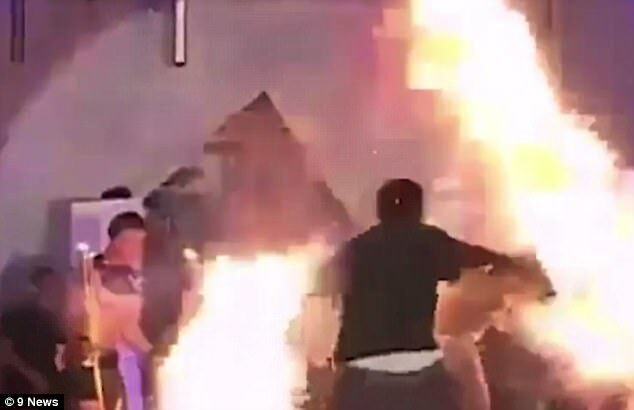 The model came on stage wearing an elaborate feathered headgear when she inadvertently walked too close to a man holding a flaming torch. The headgear immediately caught fire and in a matter of seconds was completely alight. Clueless of what is happening to her, she continued her walk while other pageant officials noticed the fire and rushed her to rescue. Two men extinguished the fire with bare hands as the contestant ducked to shield herself from the flames. 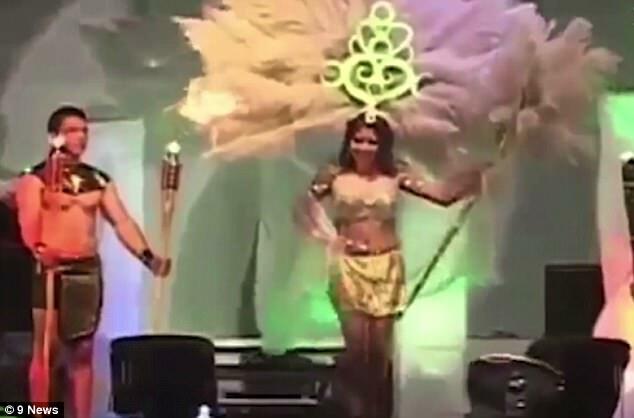 The contestant was fortunate to escape unharmed when her costume caught fire on stage. The entire costume was completely destroyed, but luckily the contestant appeared to be unhurt. As per reports, the pageant then resumed a little later after this accident.